The aim of the Family Resource Centre programme is to combat disadvantage and improve the functioning of the family unit. Each Family Resource Centre operates autonomously, working inclusively with individuals, families, communities and both statutory and non statutory agencies. Family Resource Centres are an integral part of the Child and Family Agency's Local Area Pathways model and act as a first step to community participation and social inclusion. The programme emphasises involving local communities in tackling the problems they face, and creating successful partnerships between voluntary and statutory agencies at community level. The Board of Management plays a key role in the oversight and running of NFRC. The second element in the delivery of the Family Resource Centre model is the staff team. These are professional community workers, youth workers, counselors and early childhood care practitioners who perform a crucial role in building the fabric of a vibrant and engaged community. 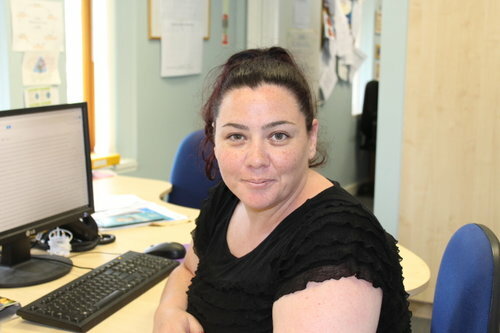 "I have been working for the Family Resource Centre for 10 years , firstly as Development Worker and then as Manager. My initial career was in childcare and later community equality studies. I am a cat lover and in my spare time I love to up-cycle old furniture, make my own cards, reading, writing and have been known to lose a few hours watching Netflix!" "I have worked in the Resource Center as Development worker for over 12 years. I like the way my job changes to meet the needs of the community. It never gets boring ! I love the outdoors especially running to keep fit "
" I have been working in the Family Resource Centre since 2003. I am the accounts & payroll administrator.I enjoy walking, reading and socialising with friends". "I am currently studying Play Therapy and also have a background in psychology. My interests include arts & craft-paper cutting, painting and very amateur embroidery! My best days are trips to the beach (even when its cold) with my family and music festivals or gigs, which are in sparsity of late!" 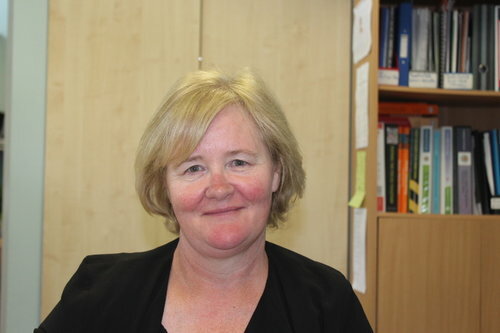 “I am one of the newbies to Newbridge Family Resource Centre, I started in January 2018 on the Preparing for Life Programme as a Mentor. "I am a fully accredited psycotherapist with a particular interest in and a passion for male health and well being. I have been a part of the team at Newbridge FRC since January 2018 and i facilitate the Men's Sensory Garden Group.I love music and sport." "I have been working here at Newbridge FRC since 2016 as Caretaker which i really enjoy. When I am not working I enjoy walking and watching football." Noel joined our team since August 2017 as caretaker .Noel enjoys all things football when not working and is a huge Liverpool supporter. "I started here in August 2017 as receptionist and have really enjoyed my first year here at Newbridge FRC. When I am not in work I enjoy music, walking, photography and pilates." "I have been working as receptionist/administrator in Newbridge FRC since 2016 and I love my job .I live in Kildare but originally from Newbridge .When I'm not working iIlike to go walking or to the gym (occasionally).I also love watching soccer and I am an avid Aston Villa supporter." " I have been part of the Childcare team since 2006. I love working with the children and seeing them progress. In my spare time i enjoy aqua aerobics & spending time with my family." " I have been working in Childcare department for the past 5 years , I enjoy working with the children and helping them reach and explore their potentials.In my spare time i enjoy reading novels, dancing and watching soaps." " I have been working in the Centre in the preschool school room for the past 14 years.I feel happy and fulfilled when i get to see the children's progressionin the class room and seeing them doing well many years later. I love to go home and chill out, I enjoy walking my dog and aqua aerobics and meeting all the women I also love interior decoration"
"I have been working in Childcare since 2004 and started here at Newbridge FRC since 2015. I love the friendly atmosphere and interaction of everyone in the centre.Iam interested in arts &crafts and DIY in the home. I have recently stared aqua aerobics and met a fun group of ladies.In my spare time i have volunteered for a couple of charity groups". "I have been working in the childcare since 2007 and I love my work with the children .I enjoy art and listening to music." The NFRC has a dedicated group of volunteers who contribute greatly to the community by their tireless efforts.